The new lab has been ready since July. 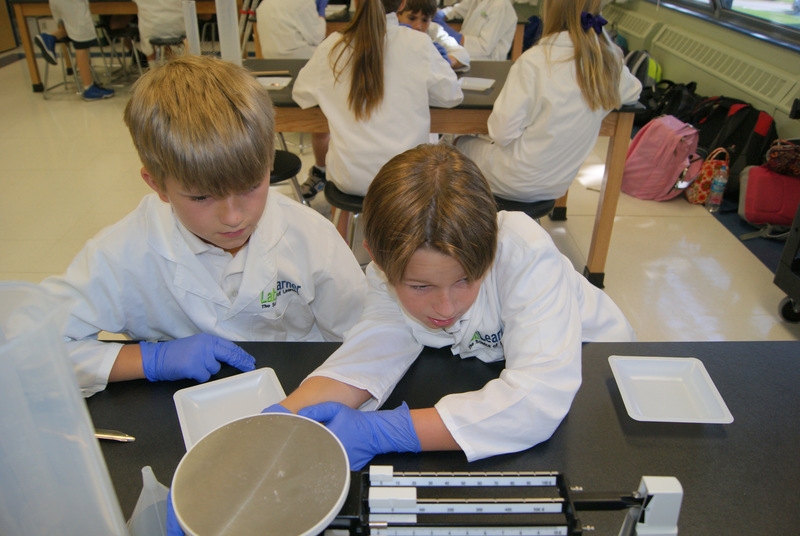 The cabinets were filled with beakers and test tubes, scales and balances. But, it was a sad looking lab without it being filled with eager and excited scientists. The sad looking lab is long gone and the new and energized lab is in full swing. 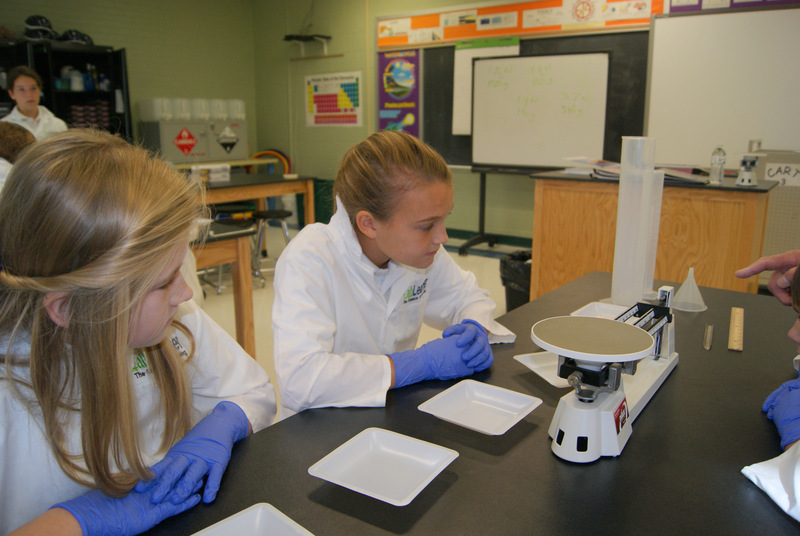 Our students are loving the hands-on lab experience. 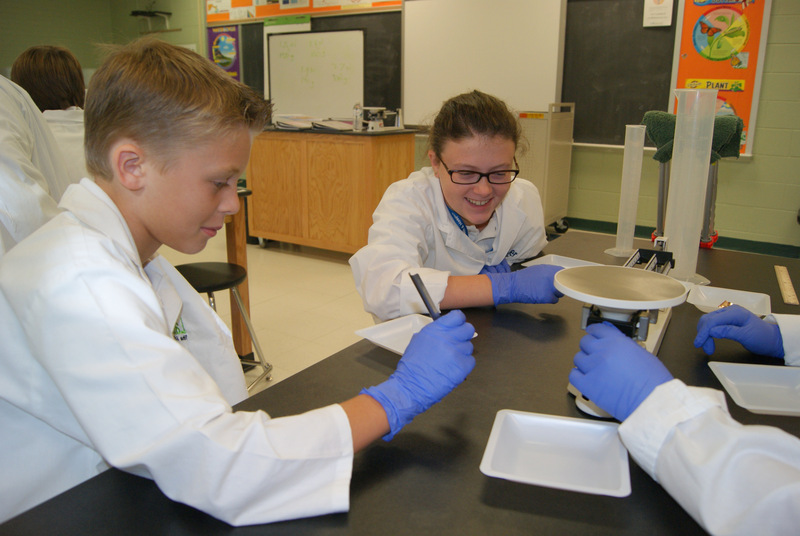 They certainly look the part as they wear their lab coats and goggles.Safety is key and our students and teachers are aware of all the safety precautions and procedures. Look for more news, photos and stories about our great science learning! “Houses” Are a Hit at SPS! 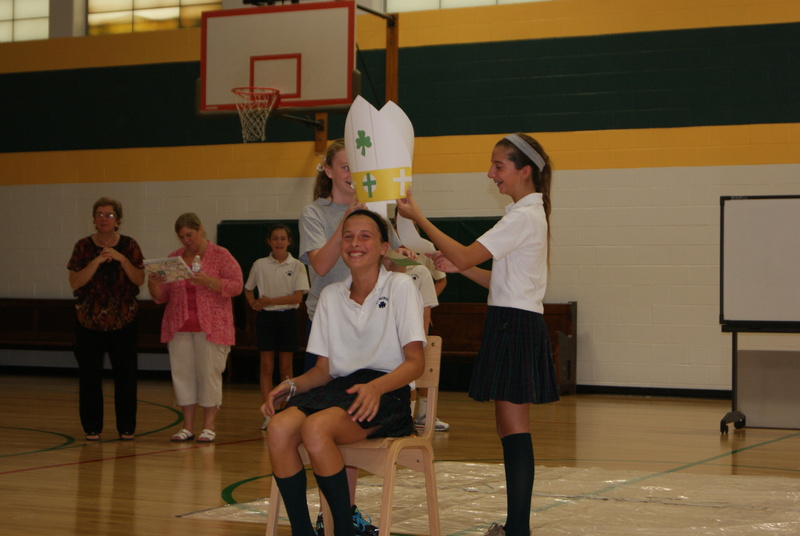 St. Patrick middle school students are entering the world of “Houses” this year. Our middle school is broken up into 5 groups or houses all named after great saints in our church – Seton, Neumann, Kolbe, Drexel and Cabrini. Middle school teachers are house moderators, but eventually the groups will be student-led with teachers being resources to their house. Right now the students are working on researching their saint, choosing a house color, motto, cheer, mascot and banner design. I will keep you posted on their choices and all the activities we will be doing throughout the year. Check out the full video on the Podcast page. 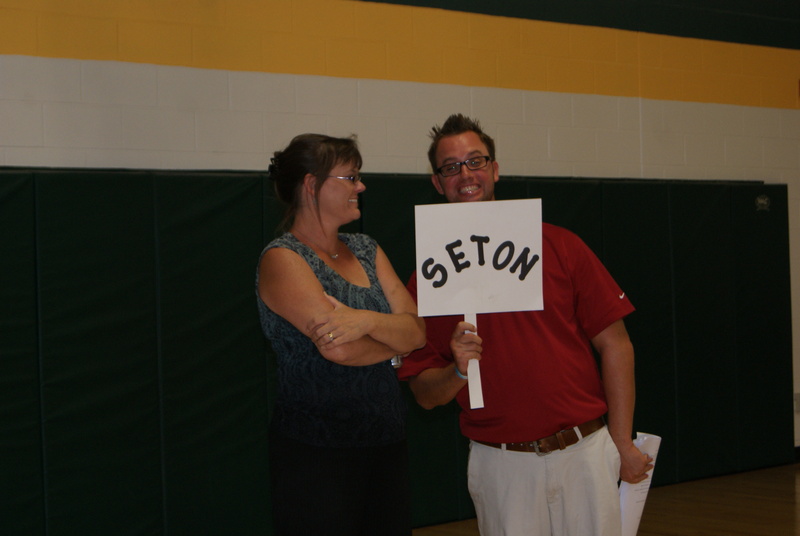 The “Sorting” ceremony was fun and exciting!